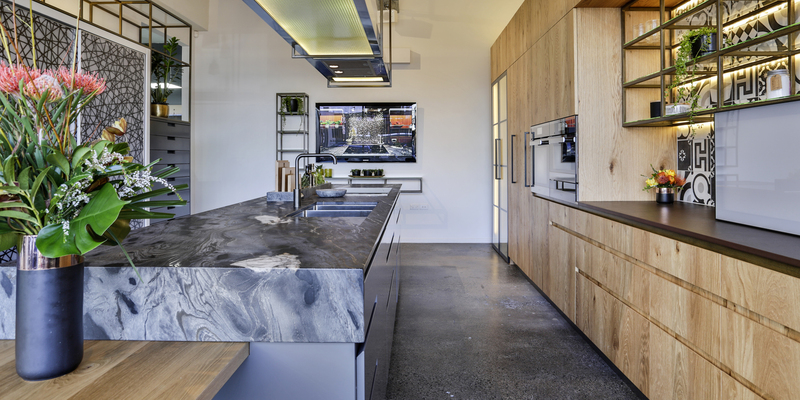 Kitchens By Design | Kitchen Design for Discerning Clients : Melrose Modern. 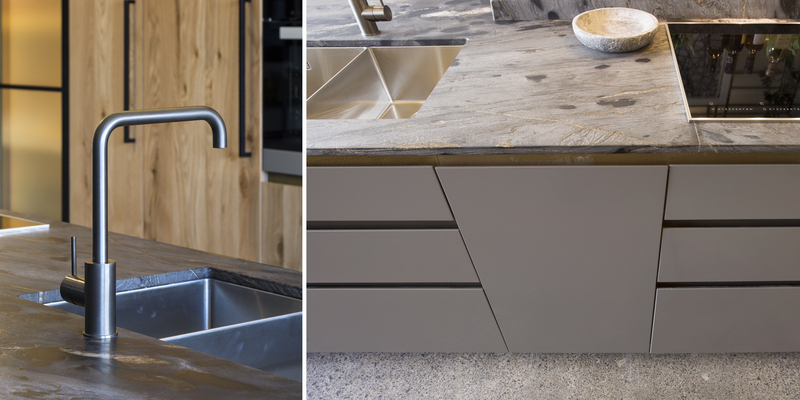 The vision with our Modern Newmarket Showroom Kitchen is to show what is possible if you start with a blank canvas and let the materials and finishes take centre stage. 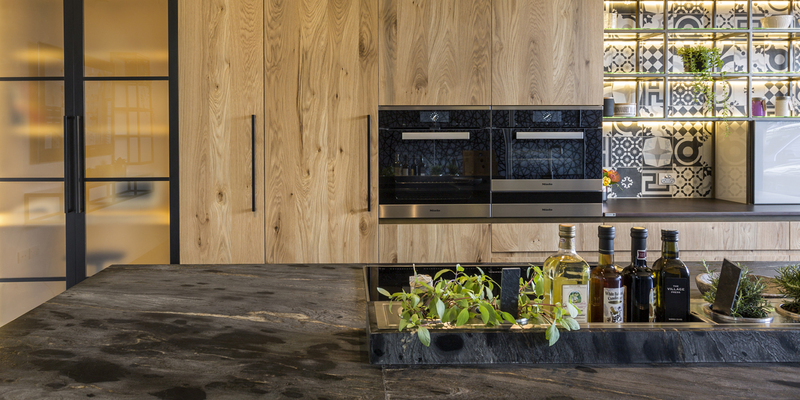 Textured oak cabinetry is combined with leather-finished granite on the island, and glass shelving housed within a custom-designed grid of steel. The colours of all these elements are perfectly matched, with the oak and the aged-gold finish in the shelving picking up on the subtle hues within the natural granite. A custom-designed extractor and task lighting unit is delicately hung from the ceiling using the same gold-finished steel tubing that forms the shelving. 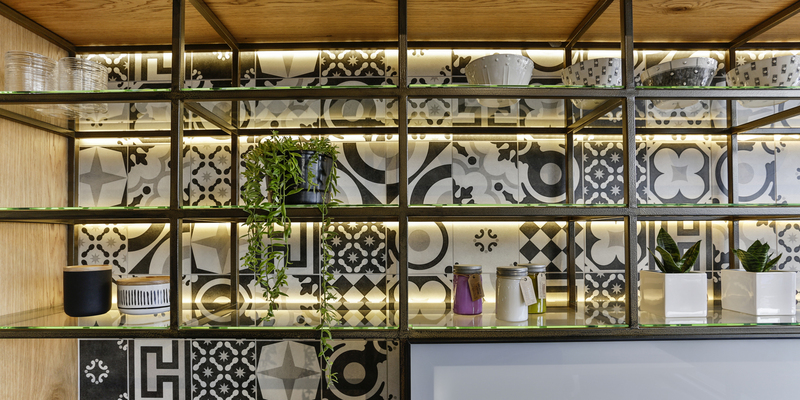 A patchwork-tiled splashback, appliances from Meile, and Grass hardware from Hafele finish off this stunning design and complement the display perfectly. 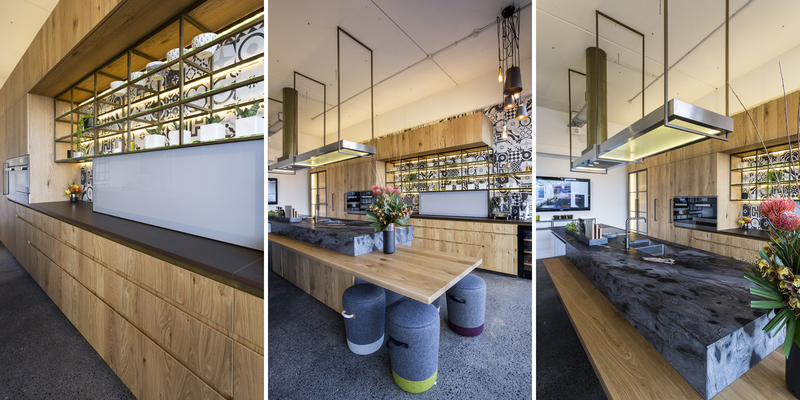 Functionally, the kitchen has been designed with entertainers in mind, with several areas for people to work and connect. Areas for food preparation, coffee making, cooking, socialising are brought together without compromise, creating the perfect space to relax and unwind. 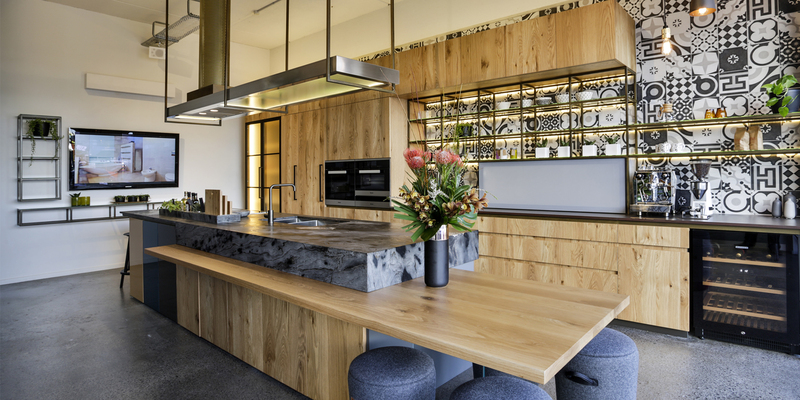 Functionally, the kitchen has been designed with entertainers in mind, with several areas for people to work and connect.